No matter what, have your camera ready and be prepared to file a police report. But accidents are chaotic by nature, and the aftermath can be, too. It’s a good idea to call police after any accident, but officers may not respond if no one is injured and the damage is minor. Quick tip: Take a photo of the driver’s proof of insurance card and license plate instead of looking for pen and paper. Here’s how to gather information in various scenarios. Try to get the license plate number or at least the make, model and color of the car, and call the police to report a hit-and-run accident, says Paul Quinn, head of claims customer experience for Farmers Insurance. If people who saw the accident stuck around, see if they’re willing to give a description of the car, driver and event to the police. Call the police and avoid an ugly confrontation. Take photos of the damage and the license plate number of the other car if it’s safe to do so. 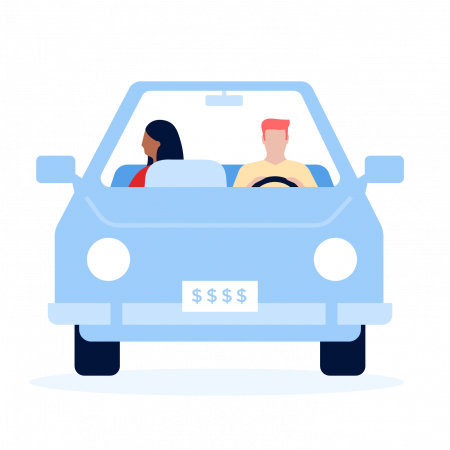 Your insurance company can use the plate number to get information about the driver, says Sean Griswold, chief customer officer of Metromile, a pay-per-mile car insurance company. If the vehicle doesn’t match the one listed on the insurance card, there may be a logical explanation. For example, the driver might have borrowed the car but is giving information for another vehicle he owns. That’s why it’s important to get the license plate number and other details about the vehicle involved in the accident. If the driver can’t provide a proof of insurance card, ask for his or her address, phone number and driver’s license number, the National Association of Insurance Commissioners recommends. (You don’t need that information if the driver has insurance documentation.) Give that information to your insurance company, along with the vehicle license plate number. Police will respond to an accident if there are injuries. Get the responding officers’ names and badge numbers and ask for the process to get a copy of the accident report, the Insurance Information Institute advises. The report will include details about the accident and information about the people involved, which you can provide to your insurer. Take photos of the vehicles involved, nearby street signs or other landmarks to show the location, skid marks and damage to any other property, such as fences or signs. File a report with the local police, even if officers don’t come to the scene. A police report will help with filing a claim. Preparing now will make things easier in case you’re involved in an accident in the future. Check whether your insurer has a mobile app. Many insurance company apps include instructions for what to do in an accident, and in some cases, you can start a claim through the app. “When the smell of an accident is still in your nose and the adrenaline is pumping, it provides a step-by-step tutorial in the moment,” Griswold says of Metromile’s app.